In a recent infographic I published, based on survey results from the 2014 Pulse Report (our membership marketing & engagement study in Canada), we reported that 47.4% of respondents would increase budgets in membership engagement next year, if they had only one area that could be increased. I think we know by now the concept of membership engagement; but association executives are struggling with how to engage members, and what they should track to determine if their efforts are successful. Engaging Next Generations (featured on the CSAE Ottawa-Gatineau blog): the article reports on a lunch & learn session that was help for chapter members, and association executives in the Ottawa area. It featured a panel of three association executives, who discussed the changed that they have made, whether they worked or not; in an effort to engage the next generation of member. Weak Member Engagement? Look at Your Staff (featured on AssociationsNow): This article is a quick summary of another blog post, but the title caught my eye, as I was preparing for a presentation recently that spoke to engaged employees make engaged members. Engaging Members in an Era of Profound Change (featured on CSAE): written by an association executive, this post talks about social change and how it impacts associations, along with some research and recommendations. 10 Elements of a Winning Member Engagement Strategy (featured on Socious): this particular post talks about why member engagement is so important, and the 10 elements they believe create an effective strategy, from goals to problems to staffing. Need more ideas? Keep an eye out for our member engagement posts, and mark your calendars - as we will be addressing these issues and more during our Engaging Associations Forum, taking place July 23-24, 2015! 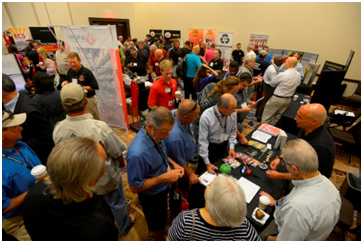 The 2014 Engaging Associations Summit was such as success! And, it was all due to co-creation. When it came to planning the program, the summit was not created in a silo - we held focus groups with association executives to learn more about the topics they wanted to hear, the length and time frame of the event, and the format that they wanted for the sessions - and we delivered! In 2015, we will continue to push the envelope. What's new this year? We have a new name (it will now be called the Engaging Associations Forum). The dates have been set (July 23-24, 2015), and we are looking to you to co-create the content of the sessions. We want to know what you would like to see - what would need to be on the roster of education to encourage you to register. We have created a short (really, a short) survey that outlines the thoughts from the original 52 participant's thoughts on education for 2015. We ask that you look at what they suggested, and let us know what you would like to learn more about. If anything is missing, we ask that you let us know what that is. Those who participate will be entered into a draw to win one complimentary pass to the Engaging Associations Forum for 2015. Click here to take the survey. And, if you would like to learn more about what happened at the inaugural event in 2014; you can! We recently launched our e-book that covers the thoughts from speakers and participants from 2014. Download it now. Heading to #PCMACIC this month? This will be my first PCMA Conference ever - and not only am I excited to attend, but we will be speaking there too! Join us in Montreal on Tuesday, November 25th, where Doreen Ashton Wagner (Chief Strategist, Greenfield Services), Rachel Stephan (President & Creative Strategist, sensov/ event marketing), and I will be proudly presenting a case study on event design. On what? The Engaging Associations Summit of course! The session will talk about lessons learned from the inaugural event. As a collaboration between a consortium of business event industry suppliers, this event pushed the envelope with many different techniques such as pre-event concierge services, innovative meeting design, participant-led "unconference" sessions, and even post-event accountability circles to help participants implement what they learned. What worked? What didn't? Was it worth it? Join us at #PCMACIC to find out! In advance of the conference, if you want to download more information, we recently released our e-book summarizing the event. Looking forward to seeing everyone in Montreal! A-HA! #Engageassn E-Book is Here! We are pleased to officially launch our first e-book, and for something that we are extremely proud of. The Engaging Associations Summit was an event co-created by Greenfield Services Inc., and a select group of partners. Ideas and possibilities were flying through the air when participants gathered at Ottawa’s Canadian Museum of Nature last July for the 2014 Engaging Associations Summit. Small wonder. The Summit program was co-created with association executives and other potential participants. The program was set up to ask provocative questions, foster deep thinking, and set the stage for constant participant interaction. Participants responded with more than 100 handwritten “ah-ha” cards that captured the blazing new insights that came to them during two days of intensive discussion, networking, and learning. 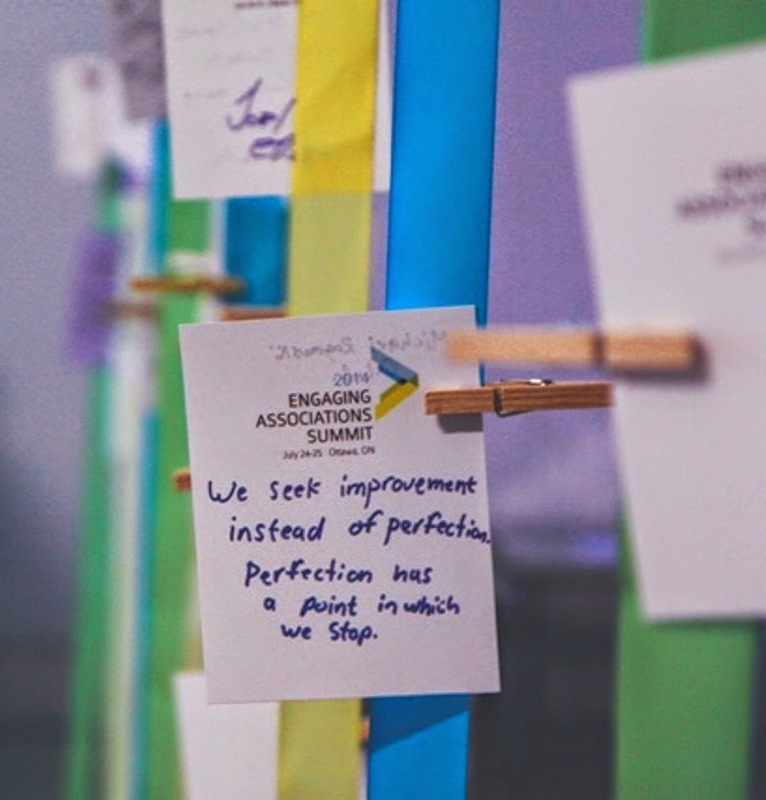 This e-book consolidates and honours the sparks of hope, inspiration, and determination that participants came up with during the 2014 Engaging Associations Summit. Like the association discussion itself, it’s a work in progress. 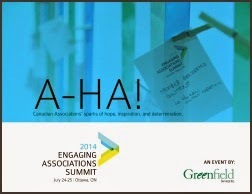 Visit the www.engagingassociations.ca to keep up with the 2015 event. You can also join the discussion on LinkedIn to comment on participants’ ideas, share your own, and help us reshape Canadian associations. A special thanks go to both Mitchell Beer of Smarter Shift & Rachel Stephan of sensov/ event marketing for your continued partnership & support! This summer, I had the pleasure of connecting with Paul Smith, Executive Director of CACEE (Canadian Association of Career Educators and Employers), due to a post I submitted through a LinkedIn Group. My post in the group asked for an executive to "raise their virtual hand" and want to be interviewed by me on a change they have implemented within their organization. Paul graciously provided his time, thoughts, and feedback on how his association implemented a major change in their operating structure. In this article, Paul shares with me that his organization recognized a need to streamline processes, policies and procedures, how he received buy-in from internal and external stakeholders, the time it took to implement the change, as well as challenges and successes that were found as a result of this. I encourage you to check out our free resources section, where the interview with Paul is located. Please look for "Associations That Create Change (CACEE)". If you are interested in being interviewed for an upcoming paper, I would love to hear from you. Please feel free to get in touch. Declining revenues or membership numbers. Regarding the misalignment of staff; is this a misalignment or a strategic plan issue? When creating your plan, or deciding on the initiatives that you want to implement; were your front-line team members (those who are in contact with your members and other stakeholders regularly) involved in the decision-making process? It may be time to re-group with your team to ensure that they fully understand the program, or the plan, and get them on board to achieving your organizational goals. That way, they can properly communicate them to your stakeholders daily. If it is truly overused list – the answer is to research new potential companies and prospects to market to. If you believe you are working with a risk-averse team, you are certainly not alone. But there are organizations who have moved beyond that…in a recent article in Association™ magazine (produced by CSAE), Beckie MacDonald, with the Ontario Library Association states “The best thing you can do is try it and fail, because you’re only going to learn how to do it better”. If you have concerns on the relevance of your educational offerings – take a look at your suite of programs. You already know that something isn’t right – look at program purchase history and determine popularity. Don’t forget to ask your members – it may not be the program at all – it could be timing, location, etc. Ask them as members what programs they would like to see offered to enhance their professional lives; and determine if it is feasible to offer it to them. And of course, to complete many of the areas above, it takes time, members and money, which was also a concern listed. To retain members, you have to be engaging ongoing, and delivering value (in a way that means something to the individual; not the organization). Retention efforts could be an issue – and I suggest having a second look at your process to see if there is anything else you could be doing at renewal time. If these boxes are checked, and you still are not clear on why your membership is declining – then it is likely time to find out. A comprehensive lapsed member survey to uncover reasons for departure, their experience as a member, etc. will not only give you a sense of why they left, but it may bring them back. It will also provide you with some fantastic insights on what could be changed to help eliminate this issue in the future. 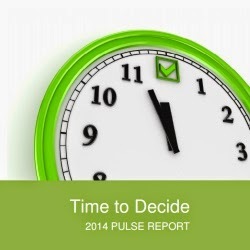 The 2014 Pulse Report is now available online for download. As an association, you want to be known as the best. You want everyone in your industry to think about you as the go-to source for information. You want to be different. To stand alone. To be great. To successfully set your association above the rest, an understanding of your differentiators is key. Those differentiators can be found by defining your target market (which in many cases comes down to the specific industry you serve), competition, niche and position. Who’s your target audience, really? Your target market is not “everyone” and it may not even be everyone in your industry. Think about who you struggle to reach and who you have an easy time reaching. 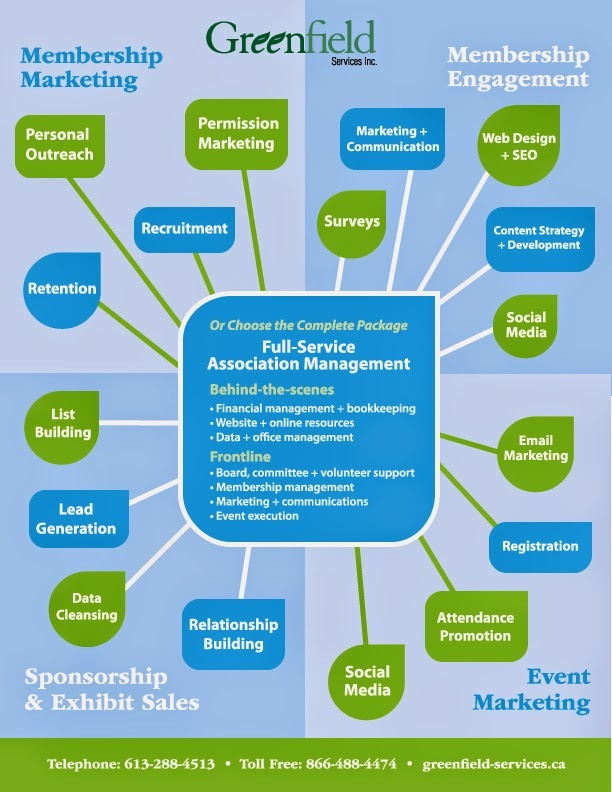 For your association to be successful, who are the most important audiences? If you struggle with member retention but have no problem with new members, your focus should be on identifying how to communicate with those members who are leaving your organization. If you are full of Baby Boomers but struggle to engage younger generations, your focus needs to be on marketing your association in a way that is appealing to younger members. Identify your top target and some secondary targets for your association and get to know who those people are. These are the people you’re going to need to engage and build relationships with. Find out what they care about, what’s important to them regarding your industry and your organization, and what makes them tick in general. You need to understand who they are and why they would considering joining your association (or why they are a member already). Narrowing down and understanding your target markets will help you craft better messages that solve your audience’s specific problems and meets their specific needs. This is what will get you noticed. Before you can stand out, you need to know what you’re up against. Take some time to research your other associations and see how they compare. Think outside the box here. Don’t just look at associations that are in your industry, look to those that are doing is well and who you’d love to emulate. What marketing tactics and tools they are using? How can you utilize similar concepts in your marketing strategy? Do some comprehensive research to figure out who your competition is and why they matter. Everyone has a competitor. Get to know them. Once you’ve researched your competition, get a solid understanding on what makes your association stand out. What can you offer that is unique? That no other association is offering? More than likely, you’re doing things differently already; identify what those things are and what sets you about. Then talk about it! Establish who your association is and what you want it to be known for; set your position. What are the essential qualities that set your association apart? Your position should distinguish you from other companies like yours. Your position will be reflected in your brand, but it’s a tool you should use internally. For example: Home Depot’s position is that it’s the hardware department stores for the do-it-yourselfers. Their brand reflects this in their tagline “You can do it. 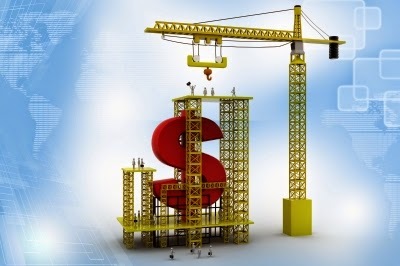 We can help.” Home Depot has positioned themselves as the store for everyone, not just contractors and professionals. They’ve set themselves apart by being the place to go for DIY home improvement. The spirit of that position is clearly reflected in their brand’s tagline and the types of content they post online. This same exercise can be executed for your association as well. Once you have answered the above questions, spread a consistent message across all your marketing channels. 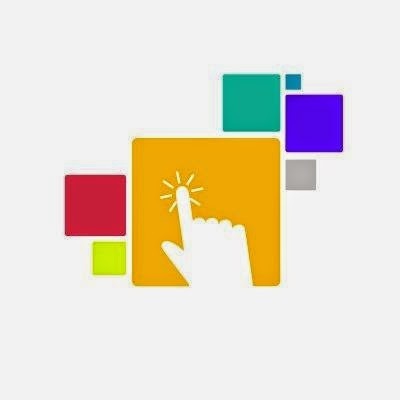 Use your website, print media, social media, video to show your target market who you are. Repetition of a meaningful message will grab your market’s attention and help build your association’s brand awareness. Be consistent, but don’t be afraid to monitor and tweak the message based on what’s working for you and what’s not. If you want your association to stand out, you need to start with what your members and potential members want and then establish who you are. Understanding your competition, your target market and what makes you unique are the first steps in getting noticed. Building your association’s brand based on market research and self-awareness will help you stand out in the marketplace. Now, go get ‘em! Greenfield Services is pleased to announce it is undertaking association management for the Canadian Society of Professional Event Planners (CanSPEP). As of August 1, 2014, the company will be providing strategic business development and stakeholder engagement support for this association of independent meeting professionals. CanSPEP represents a powerful group of entrepreneurs, many of whom are recognized leaders in the meetings and events industry. Formed in 1996, the organization provides a forum in which members meet to exchange ideas, develop skills through educational programs, and share partnership opportunities that foster business growth. CanSPEP is an active member of the Business Events Industry Coalition of Canada and an organizational leader in the meetings and events industry. 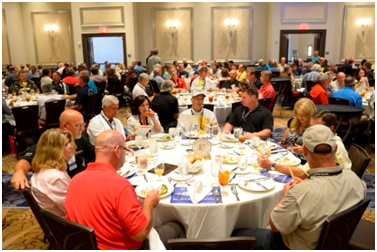 The average buying power of CanSPEP members contributes over 65,000 room nights and $30 million in revenue to the industry. “Over the past few months the Board of Directors, with assistance from the Past Presidents’ Council, carried out an extensive RFP process for association management services for CanSPEP. As a result of this diligent process, the Board of Directors has made the decision to engage Greenfield Services Inc. for association management, effective August 1, 2014. For more information on CanSPEP or Greenfield’s association management services, please call 1-866-488-4474, extension 4512 for Doreen Ashton Wagner, or extension 4517 for Meagan Rockett. Last week, Greenfield Services, along with its partners, held its first annual Engaging Associations Summit, at the Canadian Museum of Nature in Ottawa, ON. We welcomed 74 people to the event: 52 executives, and 22 partners and speakers. 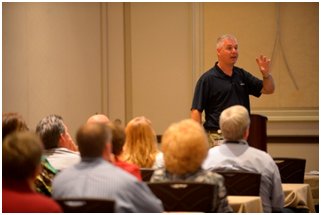 “The launch of the Engaging Associations Summit represented a significant shift for our company. The decision to create this event for the association industry helps us have a deeper understanding of challenges, best practices and successes of our clients, prospects and the industry in general”, says Doreen Ashton Wagner, Greenfield’s Chief Strategist. 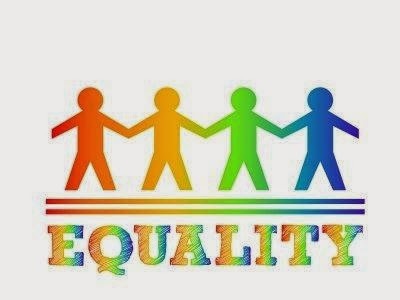 “While the decision to create this event was ours, we certainly did not do it alone. It truly was co-created; from our focus groups last Fall, to our amazing partners this year. And I was truly speechless when people started to arrive – it was wonderful to see the buzz the Summit created before, during, and after the event!” adds Meagan Rockett, Director of Client Solutions. Our commitment to the industry and the Summit’s participants won’t stop there – stay tuned for event re-caps in blogs, a case study of the event, and a live debriefing of the event at the PCMA Canada East Canadian Innovation Conference in November. And, of course, we have announced tentative dates for 2015, so block Thursday and Friday, July 23-24 on your calendars! We look forward to watching the ideas and best practices exchanged at the Summit grow, and keep the momentum of engagement going! We have all been there. When your employer, your industry or your competitors make a change, it can unsettle, disrupt and even cause major friction. Whether it’s a change in the law, a change in operations or even a move to raise the bar in an industry, change is never comfortable. 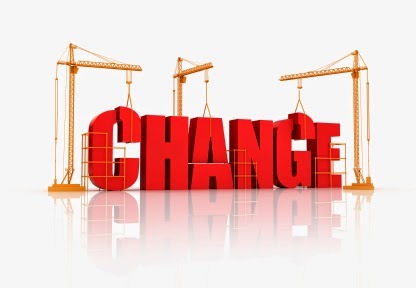 When one creates change the intent is likely to improve people’s conversations, processes or policies. Take Canada’s Anti-Spam Legislation for example, at the base level, the intent of the legislation is to stop spammers from disseminating unwanted messages, which have nothing to do with your business. However, when you dig deeper into the legislation, it will actually dramatically change the way small business, and associations market their products, services, events, and membership. Why does it cause conflict? Change can cause conflict when groups of people do not believe that you can (or, should) implement this change. They believe that for the greater good of the company, or the industry, that you should not be the one to make the change. These are the people who say “When it ain’t broke, don’t fix it”. But this thought process is all wrong. Jeff Hurt recently addressed this in his blog. He maintains that, when things are going smoothly, it is exactly the right time to look at ways to improve it. Change BEFORE your process gets boring. Those who dare, win. Not everyone will agree, but those who are forward-thinkers, and innovators in your industry, will recognize the attempt to make change for what it is: someone filling a gap or a need that has been swept under the carpet for too long. Of course change is exciting! But why? Because you are trying to get people to believe in your cause, your process, or your new product/service. Because you saw a need, heard the feedback, and created something that will help. And it is a wonderful feeling when you see who will be the first on the bus with you. Change is going to happen anyway – so it may as well be you who creates it, and reaps the benefits. What is your organization doing to create change for your members, or for your industry?